"Design for School House in District No. 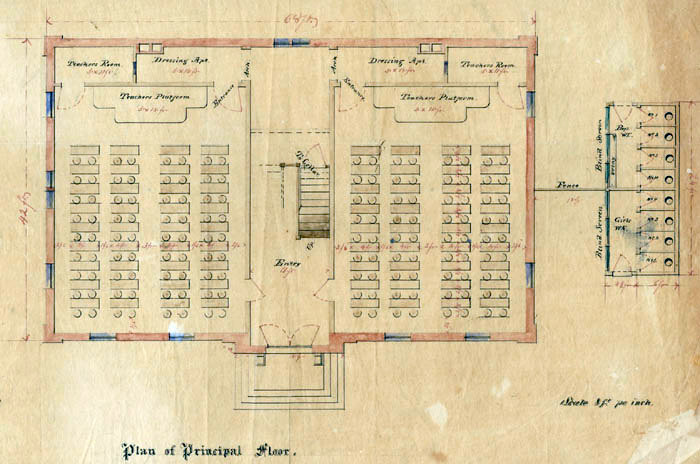 ____ Searsport, Me., Plan of Principal Floor," showing desks, teacher's platform, and boys' and girls' outhouses. 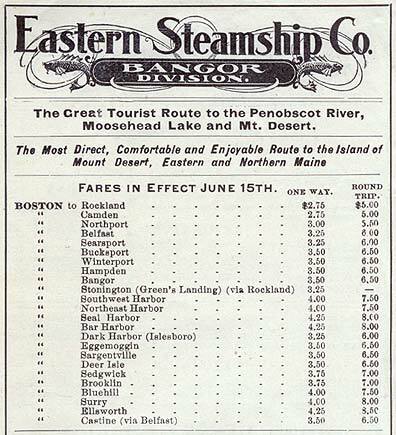 Designed by Harding, architect from Portland, Maine. At the time of the drawings, the architect did not know the district number, but the school has always been called the Union School. Today, the school building is divided into condominiums. Cover of book by Oliver Optic (pseudonym), entitled "Four Young Explorers; or, Sight-seeing in the Tropics." 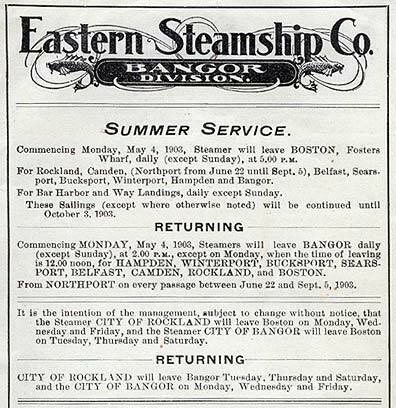 Published in Boston by Lee and Shepard, 1896. 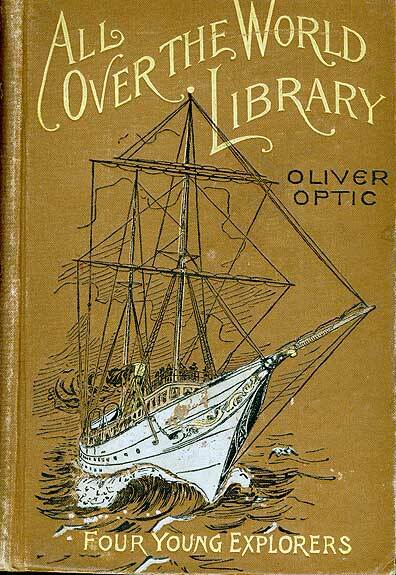 Oliver Optic was one of the pen names used by teacher and author William Taylor Adams (1822-1897). A teacher in Boston area schools, Adams wrote 126 books and over 1,000 short stories. These adventure stories had the authenticity that a writer who traveled frequently and read a number of languages could provide, generally with main character(s) overcoming difficult but real challenges. The Republican Journal has been published in Belfast since 1829. 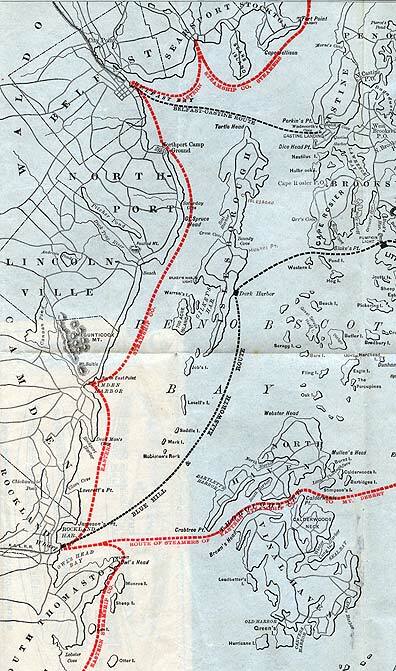 It is the best first-hand source to document the comings and goings of vessels in this area as well as life in Belfast and neighboring communities. 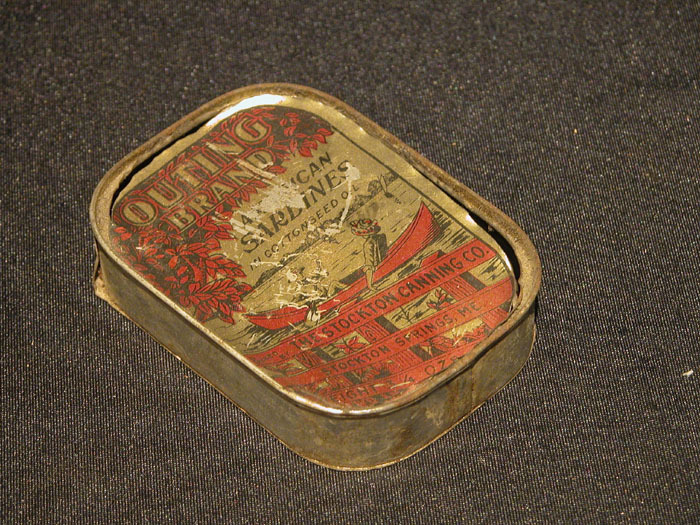 This artifact is from 7 September 1837. See bound edition of original newspaper at PMM Library.